We are discovering that our lives, when drinking and using, were centered in self and ran against the laws of the universe and our Higher Power. As Spiritual Beings our nature is to work together, helping each other, expressing love towards ourselves, and others, and to be of service. Our pasts are filled with fear and separateness, being trapped in our PersonalSelf, and often acting as if we were animals trapped in a corner fighting to protect our fragile egos. The previous seven steps have walked us through the process of seeing our inability to self-manage our own lives, discovering a power greater than ourselves and learning how to tap into this universal power. We have examined our past thoughts, emotions and actions, made lists of resentments and fears and have practiced seeing how these negative emotions originate from our sense of separation from our SpiritSelf and from God. We practice these spiritual exercises in our meditations to create the inner environment that will be reflected in our outer world. We may continue to imagine our lives as a Spiritual Garden. A spiritual teacher taught us, “Give and it shall be given to you . . . with the same measure that you use, it will be measured back to you. (Lk. 6:38). This “cause and effect” relationship between behavior and benefit is powerfully taught throughout the Bible and all other spiritual teachings. A man reaps what he sows. The one who sows to please a sinful nature, from that nature, will reap destruction; the one who sows to please the Spirit, from the Spirit will reap eternal life. (Gal 6:7-8) Our Spiritual Gardens have many past mis-deeds and wreckage planted in them and it is time to begin weeding out our mistakes one by one so that we may walk in the “Sunlight of the Spirit” in our beautiful garden! 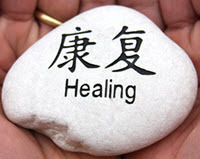 Meditation application of Step Eight: Practice the willingness to amend and heal all that I have harmed, to identify the spiritual wounds that I have caused in others, and to begin the healing process through meditation. We begin to understand that through the spiritual law of cause and effect we have created much debris in our Spiritual Gardens and the Eighth Step is the beginning of reversing the negative effects that we have created for ourselves with others. In the world of science all of our actions, emotions and thoughts are created, transferred and stored as energy. We now need to take the right actions, feel the right emotions and to think the right thoughts if we wish to work towards repairing the results of our past. We may have harmed others with our thoughts, emotions or the outer actions whether they are aware of it or not if we helped to create injury, hurt, damage, misfortune, grief, pain, sorrow, evil or wrong them in anyway. We have also done harm to ourselves by leaving us to experience the effects of our actions, also. To obtain the will to take these uncomfortable actions we should remember the 3rd Step, “Made a decision to turn our will and our lives over to the care of God, as we understood him.” If we are willing to actually begin this process of forgiveness we can rest assured that it is God’s will that we complete this process and to learn to live as Spiritual Beings having a human experience. The Science of the Amend Process. In the spiritual world, we are creating energy with every thought, emotion and action. This energy is stored in our bodies and in the unseen world around. We also communicate this energy physically within our brain and nervous system, through our cardio and immune systems and to our surrounding area on those near to us. In many ways we have hardwired our physical systems into habits and patterns of thinking and behaving. Our interior self amends process has been working through the first seven steps. Now we apply this same corrective energy to our relationships with the people in our lives and the world as a whole. Imagine our life’s Spiritual Garden as an energy bank. When we got sober, most of us had a negative energy balance in our bank. We created more negative energy than positive energy in our lives. “First, we take a look backward and try to discover where we have been at fault; next we make a vigorous attempt to repair the damage we have done; and third, having thus cleaned away the debris of the past, we consider how, with our newfound knowledge of ourselves, we may develop the best possible relations with every human being we know.” (pg 77 Big Book) In this way we reenergize our energy bank in a positive direction and begin to heal relationships and the world one small action at a time. We are constantly transmitting and receiving the energy of thoughts, emotions and actions to those near to us via magnetic energy. Our heart creates a magnetic field up to 8 t 10 feet around us which instantly communicates this energy intelligence to anyone within that field. Scientists have also uncovered that our cells are transmitting biophoton energy, the energy of light, instantly with no limit to distance of its reach. It is through this biophoton energy release that we can reach out and communicate our healing intentions with others through meditation. As we think a thought it is transmitted and received by others via these biophotons. In this way we can begin to heal our past wrongs through intentions in meditation. You may use the affirmations that we use in our meditations all through the day to help you keep you mind focused on a particular issue that you wish to work on. Just repeat it silently, or out loud, to yourself as you work, rest, watch TV, exercise. Remember we are what we think about…….so keep your mind clean and positive! SpiritStep Eight Meditation – Willing to heal Spiritual Wounds in relationships. Let’s repeat our efforts at controlling our breath as a technique to meditation……There are several techniques that can enhance your meditation experience. One of them involves adding a specific breathing technique that has been studied by ancient Masters on the art of expressing their SpiritSelf. We have used this technique in Step Two and Step Seven. It involves a balancing of the breathing and the holding of the breath for four counts at a certain point. In that moment of holding the breath the person becomes temporarily, but immediately, Self-aware. And in that second, God can intervene, as it were, to stimulate the point reached. It is a moment where you are completely in the “now,” you are quiet, not worried about the past or future, where God can slip in through the crack within our PersonalSelf and begin to work his will within us. inhale for four counts…. hold four counts…. Exhale for four counts…. hold four counts…. Let’s begin our meditation as before by getting comfortable and listening to our breath. Feel the clean light-filled air on the inhale filling your lungs and body with goodness and love. Exhale deeply and visualize all sickness and negativity leaving your lungs and body with the breath. I relax and I let go. Repeat this phrase in rhythm with your breathing. You may do the physical body scan by tightening the different parts of your body and the relaxing them. Do this until you begin to become unaware of your surroundings. I let go and I let God. Continue your path towards relaxation by using this mantra as you breath. Concentrate on the words and imagine all of the day-to-day stuff that you can let go of and turn over to God. Begin focusing on your heart center. Imagine a white light glowing in your chest that is warm and full of love. Remember that this heart center is your connection to God and to the Universe and all of the good is available to you. My physical body is dedicated to serving my Higher Power’s will. Imagine that all of your physical needs are being met and that your body is now an instrument to help others in your life. My emotional body is dedicated to serving Higher Power’s will. Try to lift up your emotions from those of your PersonalSelf of fear and resentment to love and empathy with others. Practice being the love that you are and feel this love motivate you to help others. My mental body is dedicated to serving Higher Power’s will. Strive to point your thoughts to positive loving images and patterns. Our thoughts become our lives. Here we practice programming healthy thought patterns. 3. I am a Spiritual Being. I am one with my Higher Power. Imagine being free of all that is weighing you down emotionally, mentally and physically. One with God, in your heart center, rest in this conscious contact with God. We are not our past. We can detach ourselves from those actions and begin fresh today. 4. I will the will to do God’s will. I may not feel ready or willing to do God’s will but I now asked for the will to want to do God’s will today. 5. I am willing to make amends for my past. I am not the same person as I was in the past. I am now looking objectively at my past and I am willing to “make right” the wrongs that I have committed in my actions, my emotions and my thoughts. 6. I am the forgiveness of God in action. God already forgives me. In making my list, being honest with others and myself and becoming will to make amends I am forgiving myself. 7. Higher Power is love. I am love. This is the foundation for right human relations. I now treat everyone with the same love and respect as I wish to be treated. Imagine the light of God surrounding the earth and the light of our SpiritSelf surrounding each other. Now visualize that everyone has the ability to transcend their PersonalSelf and can express their SpiritSelf to help our world and each other. 9. End your meditation slowly. Open your eyes and look around the room. Sit quietly for several minutes. Practice, Practice, Practice! You may practice this meditation as it is outlined here or you may choose to focus on only one segment during your meditation. Maybe there is one concept that you wish to bring to the front of your life. These are guidelines and suggestions. Meditation is a personal experience and as you practice it learn to listen to your inner voice to direct how best to apply it to your life. The rewards are great if you are willing to spend the time to be quiet, go within, and to learn a new perspective and a new power to fuel you life with.